Putting the "Maximus" in your Circus Maximums, the Chariots of Rome: Add-On Pack adds new Teams, Charioteers and Fate Cards to liven things up. 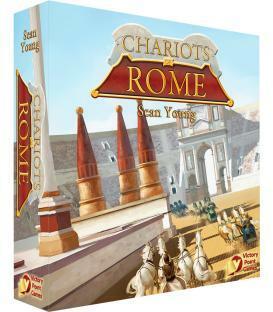 This also increases the number of players from 8 to 12, so that you can enjoy racing with more of your friends! 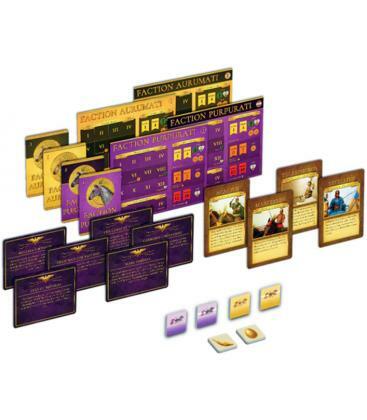 2 new Teams of Chariots (Gold and Purple), each with a complete Set of Faction Mats, Sets of Tokens, Initiative Cards, Standees and Flats. 4 new Charioteers (Acacious, the Vengeful; Marcellus, Master Auriga; Telesphoros, Favored of the Gods; Vitellius, Brilliant Tactician). 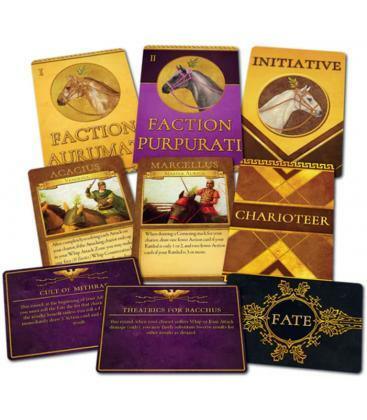 6 new Fate Cards (Cerberus Unleashed; The Corrupt Wager; Cult of Mithras; Mars Inspires; Saturn's Intrigue; Theatrics for Bachus). 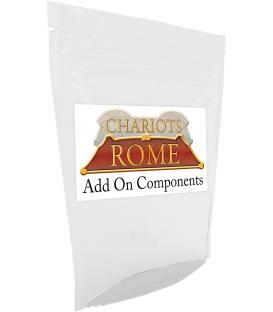 2 new Lap Markers (Egg and Dolphin) to keep Track of Laps as they did in Circus Maximus. 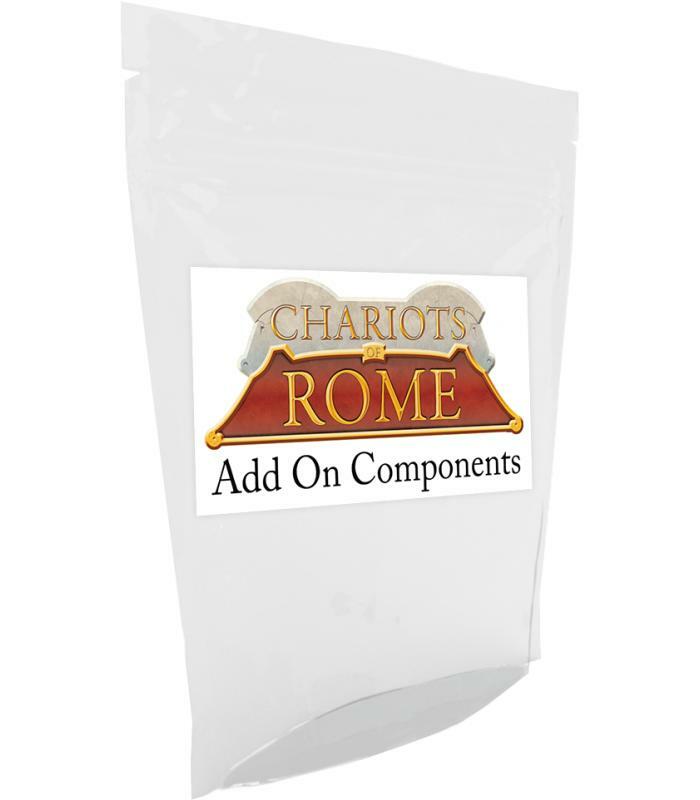 Note: you must own a copy of "Chariots of Rome" to enjoy this Add-On Pack.